There are ordinary people doing extraordinary things every day. There is absolutely no doubt about that. Now this weekend, while all eyes are on the TV screens hoping for a better outing from the Manu Samoa Sevens in Singapore, a special group of women are doing something far more extraordinary on the big island of Savai’i. We’re referring to the trio of Leilani Jackson, Akesa Fifita and Naomi Fuamatu who have made the trip from New Zealand to Samoa to raise funds for the Samoa Cancer Society (S.C.S) this weekend by tackling the grueling inaugural Savai’i Marathon. We agree that when it comes to cancer and fundraising, there is hardly anything new about that. It happens all the time through many different means and people give generously. We’ve seen this over the years and it is a great thing. When it comes to the scourge that is cancer, the good folks at the Samoa Cancer Society need all the help they can get. 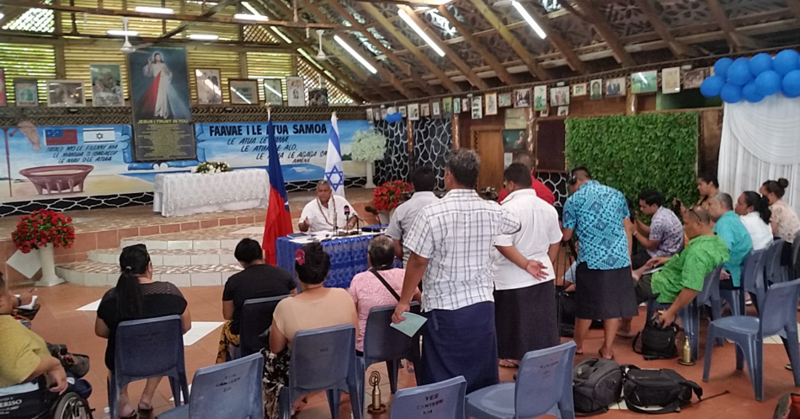 Personally, I don’t think we talk about cancer often enough given the prevalence of the condition in Samoa. While the limelight is often on diabetes, high blood pressure and other conditions that affect many of our people (there is nothing wrong with that of course), cancer is something of a silent killer. Which is why we should be talking about it, making some noises with the hope that it would raise awareness about preventing it and at the same time contribute to efforts to improve the funding for organisations like the Samoa Cancer Society to help our people. The reality is that people are dying from cancer everyday. Not one of us can say that we haven’t lost someone close to us because of it. Everyone has a story to tell and every one has been affected by cancer one way or the other. It’s a tragedy we can no longer ignore which makes all efforts to raise awareness and improve the support mechanisms worthy to support. Which brings us back to the trio who are putting their bodies on the line today in Savai’i for the cause. We’re not talking about a group of super fit athletes who have nothing to do but prepare for these events. Far from it. We are talking about ordinary women with families to raise and jobs to keep who are doing something worthwhile that deserves our support. Leilani and Akesa will apparently take part in the Half-marathon (21 kilometres) and Naomi the 10 kilometre run. This is no small feat, given that this is their first international event. From what we’ve been told, the group of women have set out a target of NZ$500 and all the proceeds they hope to collect will be handed to the Samoa Cancer Society. By the sound of things, they have set themselves quite a modest target with the hope of under promising and over delivering. But then the amount doesn’t really matter, does it? Indeed, the real inspirational message in this story is not the money; it’s the idea that these women have found it deep in themselves to do something to help. For sure they will all have different stories to tell about their journey to where they are and why they have taken up the initiative. Just like the many great people who have taken part in recent cancer fundraisers such as the hair shaving initiative last year which saw thousands collected for the cause. For many of us who have experienced first-hand the loss of a family member or a close friend to cancer, we will know the devastation and the sadness of it. And we will also know that we would do anything to prevent someone else from going through the same experience. And that includes the fact that every sene counts in efforts to battle this deadly monster. The marathon by the way kicks off at 5.30am at Sale’aula today. So here’s wishing Leilani, Akesa and Naomi all the best. As for the rest of our readers, have a wonderful weekend, God bless! An era in the history of the judiciary in Samoa ended yesterday. 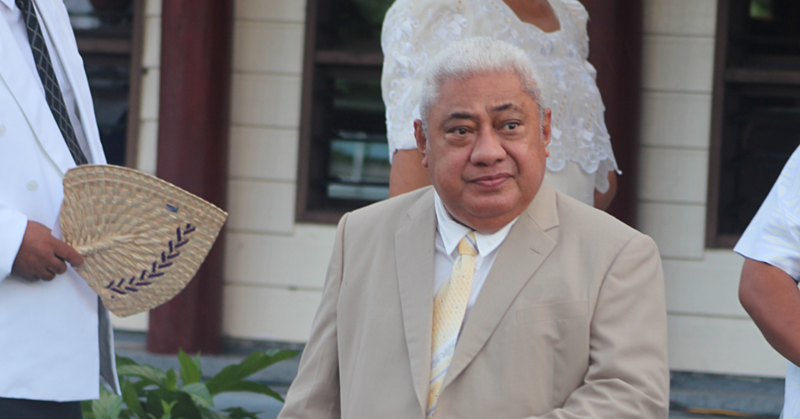 It’s an era that started in 1992 under the leadership of former Prime Minister, the late Tofilau Eti Alesana, who appointed a middle-aged lawyer, Patu Tiava’asu’e Falefatu Sapolu then as the Chief Justice of Samoa.